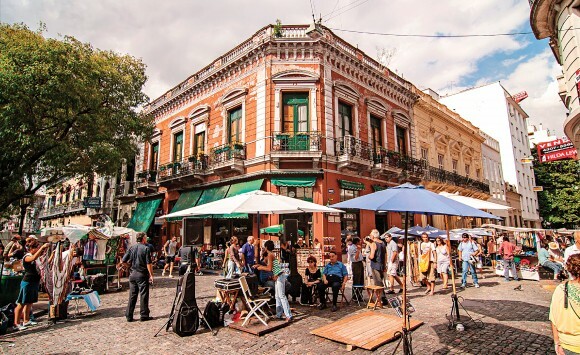 BUENOS AIRES, Argentina—Argentina has seen worse: 20,000 percent inflation, currency devaluation, military coups, and sovereign defaults. Compared to the country’s history, the current situation seems benign. And yet despite, and maybe because of, fast-paced reforms, President Mauricio Macri faces strong headwinds on his quest to realize Argentina’s full potential. 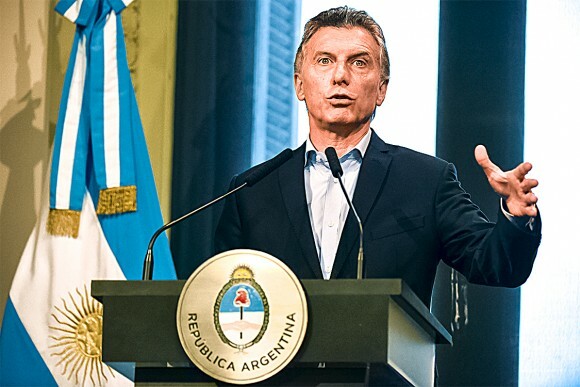 “Argentina will be among the highest-growth countries in the next 20 years,” said Macri, at the opening conference of the World Economic Forum (WEF) on Latin America in Buenos Aires on April 6. 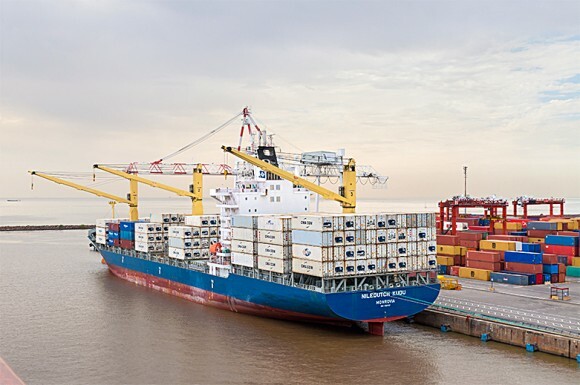 Macri, who was elected on a reform platform in December 2015, vowed to make the country competitive, to open it up to international investors, and to reinvigorate trade. He has delivered on many of his campaign promises. However, the situation left by his predecessor Cristina Kirchner is complicated, and Argentines don’t have much patience for political reforms if they don’t deliver the goods fast. There are no magical solutions to these things. … It’s going to take time. It’s going to be painful. “There is still a lot of inflation. Salaries are not high enough, and they just fired someone here, so we have to work more, but we don’t make more,” said Ybarra, who works at a laundromat in Buenos Aires. A combination of high inflation, high unemployment, and low growth is something Macri hasn’t been able to fix yet. “There are no magical solutions to these things. We are trying to reform this economy from a Venezuelan type to a normal economy. It’s going to take time. It’s going to be painful,” said Gustavo Sánchez Loria, an economist at asset management company The Private Advisors in Buenos Aires. 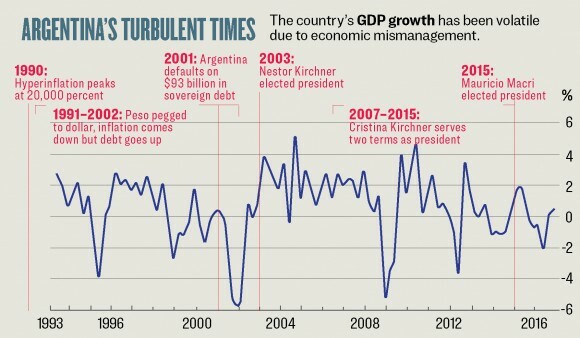 The business community understands that the economy Kirchner left, although not in crisis, was moribund and only propped up by debt and money printing. The problem: Not all members of the working class agree. “There wasn’t a main issue that Kirchner left—there were many. All of these issues generate problems,” said Fausto Spotorno, an economist at consultancy Orlando J. Ferreres & Asociados in Buenos Aires. 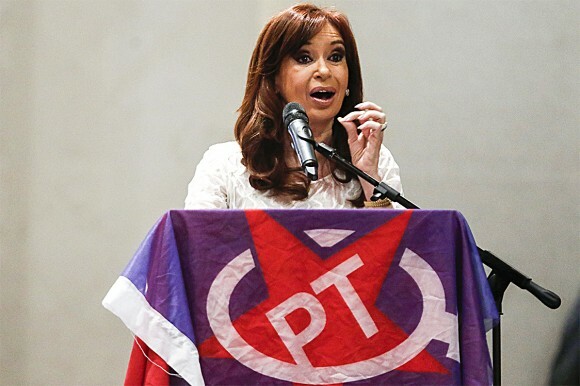 She introduced foreign exchange controls, confiscated billions in private pension savings, and took a leading role in the nationalization of YPF, an Argentine energy company majority-owned by Spanish company Repsol before it was expropriated by the state. Kirchner also introduced heavy taxes on exports of agricultural goods, hurting the country, which is a traditional exporter of meat and produce in these markets. “You had a very closed economy in Argentina. You had capital controls; you could not buy dollars; you had to have permission to export. They didn’t want to devalue the exchange rate, so they prohibited the market from operating,” said Spotorno. 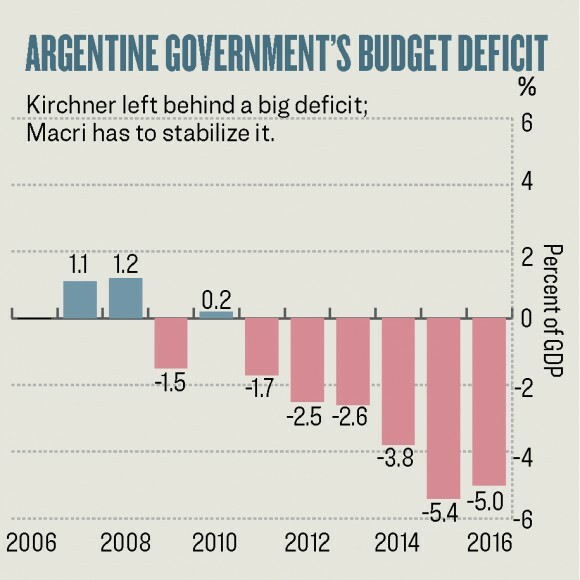 These policies resulted in high inflation (more than 30 percent when Kirchner left office, though those numbers were likely understated), low GDP growth, and high government budget deficits, peaking at 5 percent after Kirchner’s term ended. For a product that costs 1,200 pesos, I take 100. The government takes 450. In the end, the people were fed up with Kirchner’s national socialist policies and voted in Macri on a reform ticket, although it is unclear how the elections would have turned out if Kirchner had been allowed to run for a third time. Of course, the people who didn’t vote for Macri, and also some of his supporters, may not understand that things sometimes have to get worse before they get better. In the 16 months since Macri took office, a lot has changed. He abolished currency controls and import-export taxes with few exceptions, sought and brokered an accord with the hedge funds, and successfully sold a record $16.5 billion in U.S. dollar debt that the country uses for new investments rather than government welfare plans. “It’s a cultural change [after years when] we were lead along the wrong path and by values which don’t represent the essence of the Argentine people. … Argentina was isolated for 30 years. All that brought was more poverty,” said Macri, in his speech at the WEF. Although Macri will probably never lose his reputation as a rich kid who mostly worked for his industrialist dad’s Socma Group, he successfully ran Buenos Aires soccer club Boca Juniors from 1995 until 2007, a period during which the club won seven national and 11 international trophies. This is not inconsequential, as Argentine soccer is as rife with at least as much corruption and politics as the country itself. Before he became president, he was the mayor of Buenos Aires from 2007 to 2015. Hosting an international event like the WEF is the last in a series of steps to reintegrate Argentina on the global scene—the G20 presidency in 2018 will be the reward. Macri, the first non-socialist or non-military president since 1916, has his supporters even among the working class. “[Macri] put Argentina back on the geoeconomic and geopolitical map,” said Klaus Schwab, the founder and executive chairman of the WEF, at the conference in Buenos Aires. “They are on the right road, but it’s going to be difficult,” said Sanchez-Loria. It is difficult because companies and people have gotten used to welfare plans and protection from competition and subsidies, and they don’t want to lose those benefits. For example, many companies shielded from competition by imports are now under pressure, and some are going bankrupt. As a result, the country had a mild recession in 2016, and unemployment remained high, between 8 and 9 percent. Growth only started to pick up late in 2016, creeping up to 0.5 percent annualized in the fourth quarter. Another big issue is the removal of subsidies for utilities such as gas and electricity, under which people only had to pay one-tenth the price of international markets during the 14 years of the Kirchner era. The freeze on prices was supposed to be a temporary measure after the 2001 default to help boost consumption, but President Nestor Kirchner (Cristina’s husband and predecessor) kept it going, and Cristina Kirchner followed suit. “They decided to make it a political statement, to buy votes. Then the adjustment costs were so big, they decided not to remove it. That’s a problem for the new government,” said Spotorno. 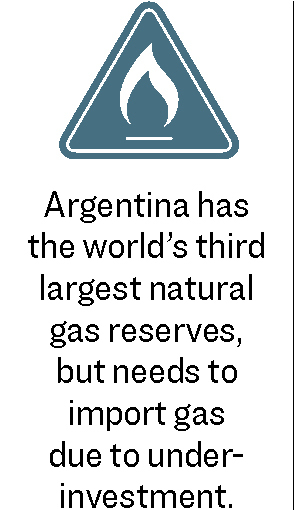 Because of the artificially low prices and the nationalization of YPF, the private sector stopped investing in utilities, despite the fact that Argentina is a country rich in natural resources, with the world’s third-largest deposits of natural gas. Now that the Macri government is removing the subsidies, prices are skyrocketing, causing pain among consumers. Because of years of underinvestment, there is no new supply coming online. “That lasted more than a decade, so the investment in those sectors was minimal. Electricity started to fail. And natural gas, we have to import from Bolivia. We used to have a surplus in the trade of natural gas; now we have a deficit because nobody invested,” said Spotorno. However, Macri, the first non-socialist or non-military president since 1916, has supporters even among the working class, who turned out in high numbers at a march for his reforms on April 1. “People lost [their] work ethic. The people got used to receiving welfare and that the government takes care of everything,” said Graciela, who works as a nanny and manages vacation rentals, about the Kirchner years. Graciela says she does not mind that the government is reducing the subsidies. “If I see the gas price rise, I try to use less. If I see electricity rise, I’ll make it work somehow. One woman I know left the light on the whole night because it was subsidized. Now she has to pay for it herself,” she said. While the business community thinks Macri is doing the right thing, they believe the government should have communicated the consequences of its policies more clearly. Argentina can be among the best 20 economies. The potential is huge. It’s a very educated people, very cultured, and with a lot of talent. Macri’s opponents, of course, would love to see him not make it, and labor unions staged a national strike just as the president gave his speech at the WEF. “All of the non-socialist governments face a lot of challenges from the unions. They start strikes, and this generates insecurity,” said Sánchez Loria. “All the strikes against Macri are bought and paid for,” said Graciela. She has seen people bussed in to protests from all over and advertisements that people would receive a “sandwich and a soda” if they turned out to protest, she said. One of the biggest problems the government has to solve is its rampant inflation, which has come down from the Kirchner era but is still too high for normal business operations. According to the 2017 WEF Global Competitiveness Report, inflation was the highest impediment to doing business in Argentina by far. Official numbers say it’s around 20 percent annually; local business owners say it’s more like 40 percent. The Argentine central bank jacked up its benchmark interest rate to 38 percent and then gradually lowered it to 26.25 percent as the statisticians saw inflation decline. The central bank expects it to be as low as 21.2 percent in December 2017. “[The bank] imagines things. The real rate is more like 40 percent,” said Irene, who runs a restaurant in the neighborhood of Recoleta in Buenos Aires. Paying New York prices for basic things such as dry-cleaning and food, and even higher prices for imported products, puts other items out of reach for the average citizen who makes less than $2,000 per month. One recourse for Argentine consumers has been buying durable goods through loan installments. As long as the interest rate is lower than inflation, this operation is profitable for the consumer. “Inflation kills debt and reduces delinquency rates. If you can pay the first three or four payments, the rest takes care of itself because of inflation,” said Spotorno. If he is serious, however, he will need to reign in the money supply growth of 30 percent annually, which is directly linked to inflation. Although the Macri government hasn’t made taxes a priority, businesses small and large complain about the high rates left by the Kirchner administration. 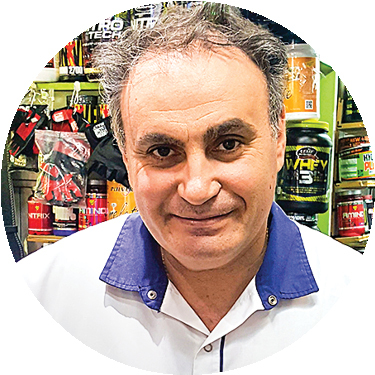 “You think this is expensive, I tell you why it’s expensive,” said Francisco, who runs a small shop that sells imported nutritional supplement products. A two-pound container of Elite whey protein powder, which costs $26.92 on Amazon in the United States, carries a jaw-dropping price tag of 1,200 pesos, or $79.26, at the current rate of 15.14 pesos per dollar. 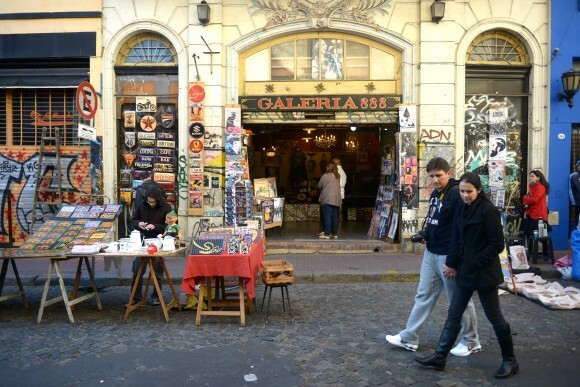 Taxes are rated as the second-biggest impediment to doing business in Argentina. “This price includes 21 percent VAT, 3 percent tax on the gross sale, and 35 percent tax after costs. For a product which costs 1,200 pesos, I take 100. The government takes 450,” he said. Because the new government doesn’t finance the 5 percent budget deficits with the printing presses of the central bank, it cannot lower taxes too fast without again entering a vicious debt spiral like the one that led to the default in 2001. “The tax burden is still high. What is the plan there: Keep the public expenditure stable, and economic growth will increase revenues. The problem is, with such a big tax burden, it’s difficult to grow as fast as the government wants. That’s why, to me, the fiscal situation all around is the main risk,” said Spotorno. Taxes are rated as the second biggest impediment to doing business in Argentina, according to the WEF Competitiveness report. The country is ranked 130 out of 138 countries for its macroeconomic environment and quality of its institutions. 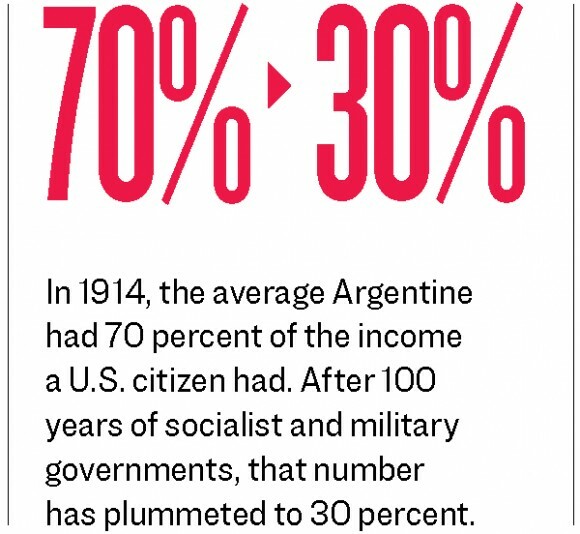 Many have forgotten that Argentines once had a per capita income similar to Western Europe and 70 percent of that of the United States. But that was 100 years ago. 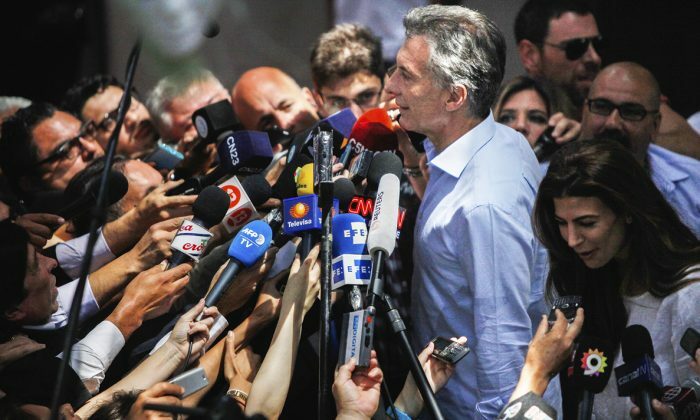 To transform Argentina into a high-growth economy, Macri’s government needs to continue on the reform path, regardless of the midterm elections this year. 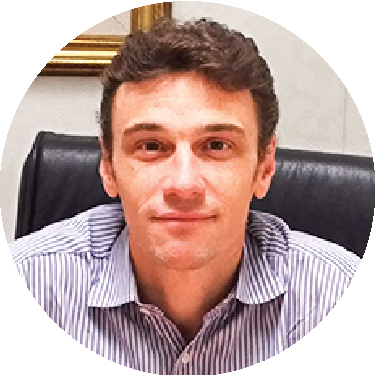 “We need to channel the huge human talent in the country and couple it with the huge resources,” Macri said. For this, his government is planning for massive investments in education and infrastructure, as well as virtual connectivity. Tax cuts and labor market deregulation will have to be added to the mix, according to Francisco Martínez, CEO of employment agency Adecco Argentina. He just moved to Argentina from Spain and says he believes in the country and the people.